Anthony Joshua and Deontay Wilder could both box on a ‘semi-final’ card this summer before facing each other in December. 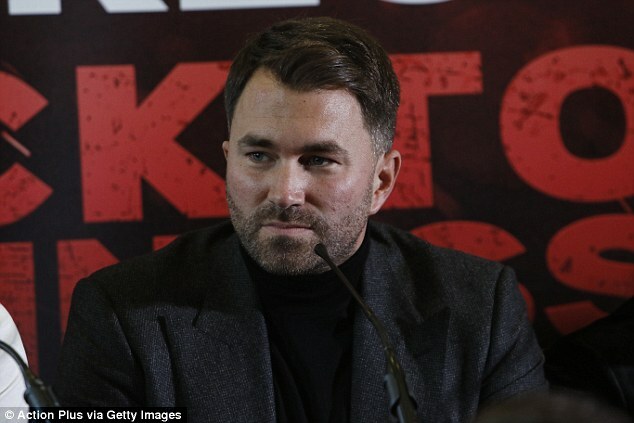 Joshua’s promoter Eddie Hearn reopened talks with Wilder’s influential advisor Al Haymon this week following the American’s 10th-round stoppage win of Luis Ortiz in New York. 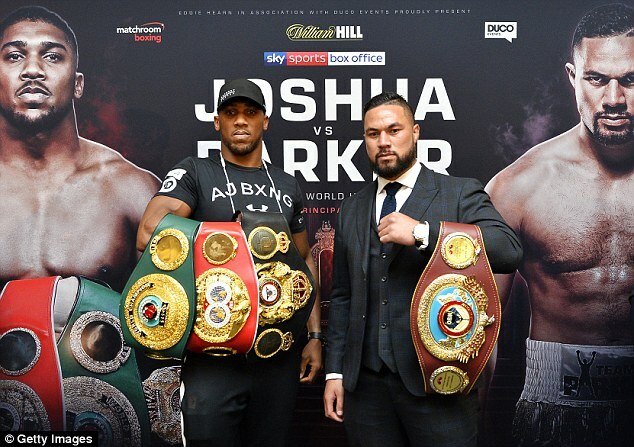 Now all the attention turns to March 31 when Joshua defends his WBA and IBF titles against WBO king Joseph Parker at Cardiff’s Principality Stadium. 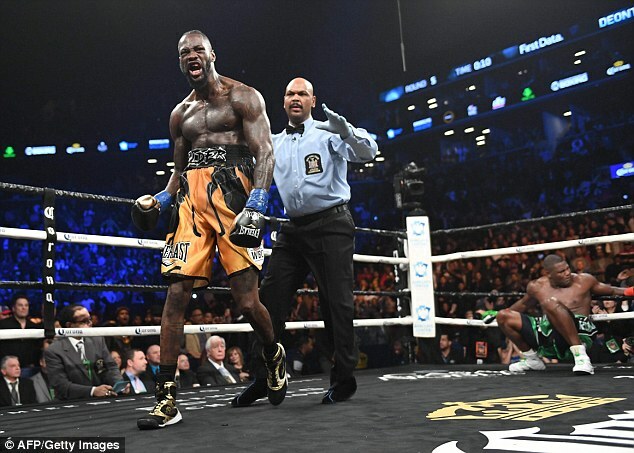 Whoever wins in the Welsh capital is expected to secure a lucrative clash with Wilder which would produce the first ever world heavyweight champion to hold all four major titles at once. Hearn is already working on a potential deal should AJ win what is arguably the toughest fight of his career when he takes on New Zealand’s undefeated world champion on Easter Saturday. However the Matchroom Boxing boss has revealed there is no chance that any potential fight between Joshua and Wilder could take place at Wembley in 2018, although there is a date held for a showdown at the National Stadium next year. 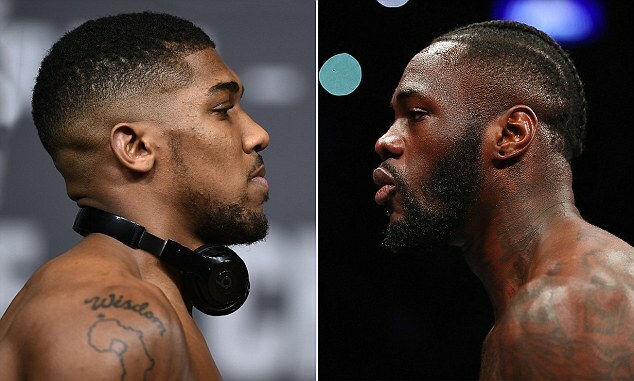 Instead, it is likely that Joshua would have to travel to America to fight Wilder if he is successful in Cardiff. And now Hearn has opened the door to the idea of the two heavyweight stars featuring on the same card against different opponents in a bid to further raise the profile of what could become the richest heavyweight fight in history. However, he does have some reservations about the plan following Wilder’s performance against Ortiz. ‘Yeah the idea of having them box on the same card as a build-up to them fighting each other is an option,’ he said. ‘But I’m just not sure whether we should wait because Wilder might get beat. Hearn has perviously suggested that Joshua could face Wilder’s compatriot Jarrell Miller at New York’s Barclay’s Center in August before pushing for the Wilder fight in the winter. And the Brooklyn venue is a serious contender to stage the big one too. Hearn said: ‘We both have a very good relationship with the Barclays Center, both Matchroom and Wilder. I think it generates just as much in New York as it does in Las Vegas. Everywhere is in play. ‘We only have a date on hold at Wembley for 2019. There is nothing available at Wembley for this year, though. Wilder will be ringside in Cardiff for Joshua-Parker as he hopes to secure a shot at the winner as quickly as possible. 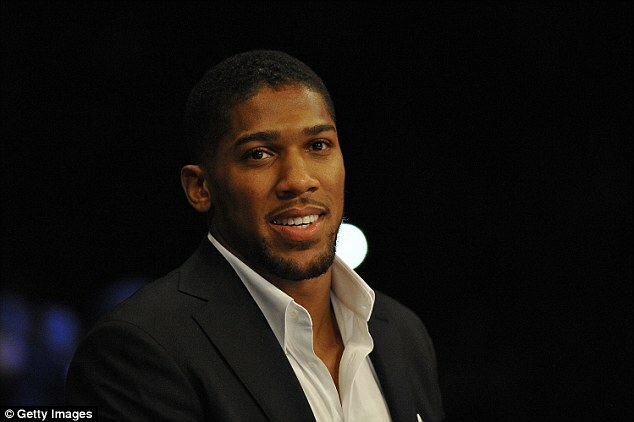 But the 40-0 American expressed his doubts as to whether Joshua and Hearn want to face him at all this year. 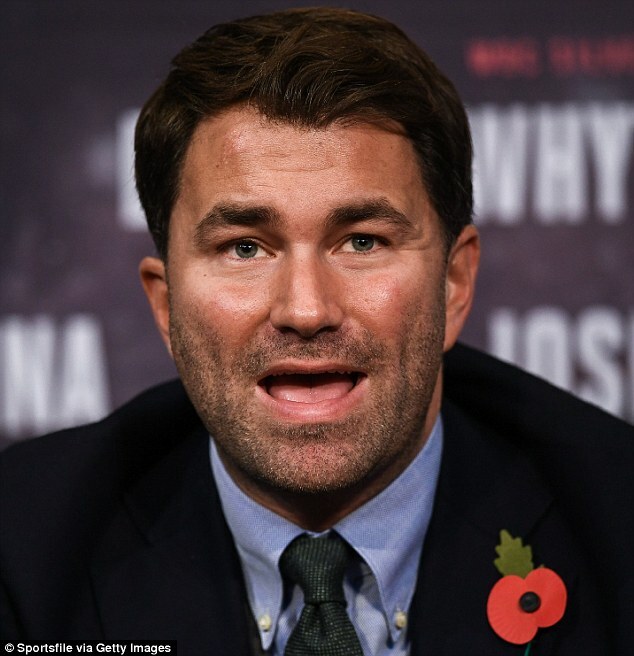 But Hearn said: ‘When Wilder says “Eddie Hearn doesn’t want that fight”… mate, are you joking? Do you know how much money is in that fight? And I love money. ‘Deontay Wilder gets it, hopefully he doesn’t chin me when he sees me in Cardiff but he knows he needs all the help he can get, when it comes to promotion. ‘I spoke with Haymon’s team this week, I said “we will make this fight together”. We will make the fight, it’s inevitable.